August, 2008 Update: All original versions of Cansema are now available online. This Veterinary version now comes in both the original 22 g. (net weight) container and a larger 102 g. (3.59 oz.) jar -- both available in our store. The ingredient declaration for this product, along with the questions to many other questions about Cansema® is available in Cansema's FAQ section. hroughout the years, Cansema has been used topically in thousands of veterinary applications, and quite successfully so. The most common mammals to which it has been applied are domestic cats, dogs, and horses. We could have named this variation, "Cansema Salve for Vets," but we wanted to specifically address this formula to those animals for which it will most frequently be applied. The needs of animals are different than they are for humans. Animals cannot as easily articulate to us their state of pain or discomfort. In the case of small animals, the product can and will quite often be licked at and even ingested -- requiring additional applications. Animals are not going to complain that Cansema has created an unsightly eschar or wonder when they can begin reapplying make-up. Larger animals -- and this is especially true of horses -- often need more product to get the job done. A veterinary product also must keep in mind that the epidermal layers of many animals well exceeds, in thickness, those of humans in those areas to which Cansema is most often applied. So a veterinary version would have to be more transdermal, as well. This product is slightly weaker than the original Cansema® formula. In fact, it usually takes more than the usual "one or two" applications that Cansema typically requires to reach the escharization stage. Here, it can take the better part of a week. The reason for this is to cut down on the aggressive, caustic properties of the original formula to create a variation that is as comfortable for the animal as possible. Most humans want to get the process over as quickly as possible, but animals don't care - as long as there's minimal discomfort. In addition, this formula takes into account that animals will often try -- with success -- to lick the product off. Therefore, this product contains a higher percentage of galangal root or ginger to add the digestion of the product when this occurs. There is no danger to your animal if they ingest ANY variation of Cansema Salve in moderate amounts, but this formulation is much more gentle if they do. 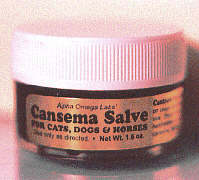 None of this should be interpreted to mean that the original Cansema Salve cannot be used in veterinary applications. It would not have such a large following in various veterinary circles if it didn't. But this new formulation takes into account the creative criticisms of many end users over a ten year period -- therefore, its corrective adjustments will, in our opinion, fulfill a broader range of vet concerns than the original formulation, which was, from inception, designed to address human skin cancers. Read the latest vet testimonials. As always, read User Instructions prior to use and FAQ pages. This product does not replace the timely and regular use of your licensed veterinarian. Also, for larger growths (in excess of 1 cm.  in cats and dogs; 3 cm. in horses), you may wish to consult with your veterinarian to obtain analgesics (pain killers) to make the early stages of Cansema use easier for your animal.